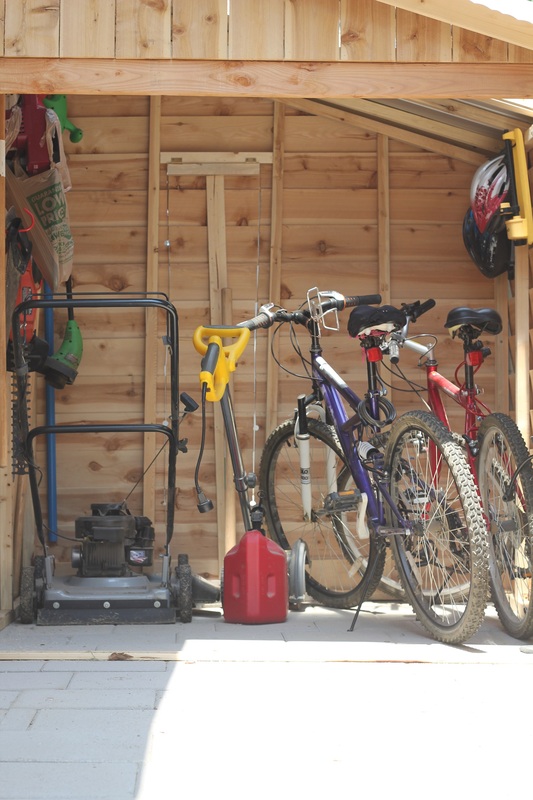 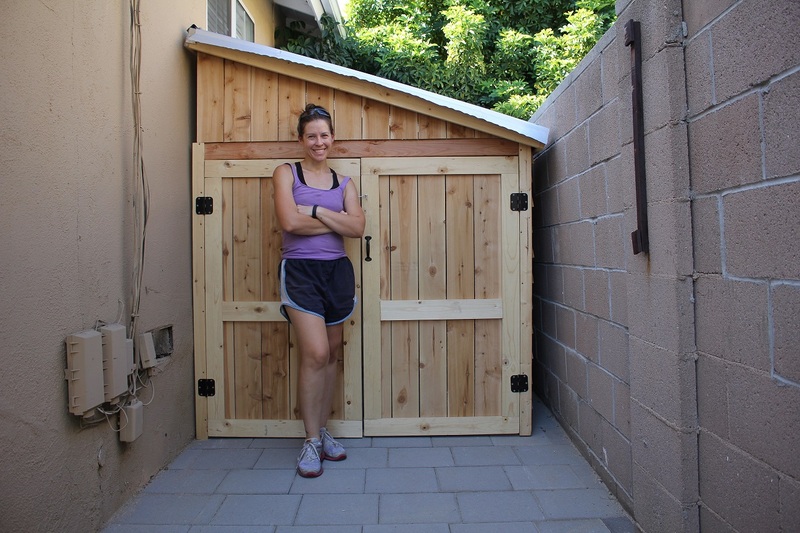 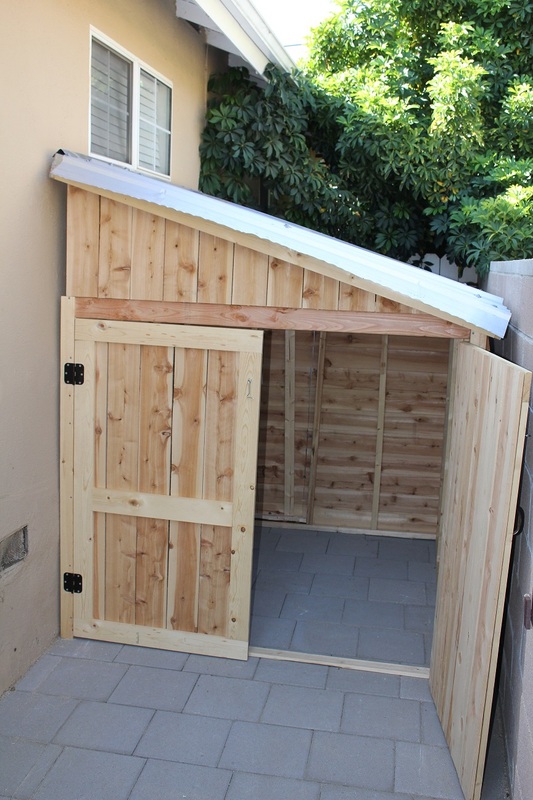 Needed a shed to store bikes and mowers, etc, so I'd have more room in the woodshop : ) The completed size is 7 foot tall at the peak, 6 feet deep and 5.5 feet wide. 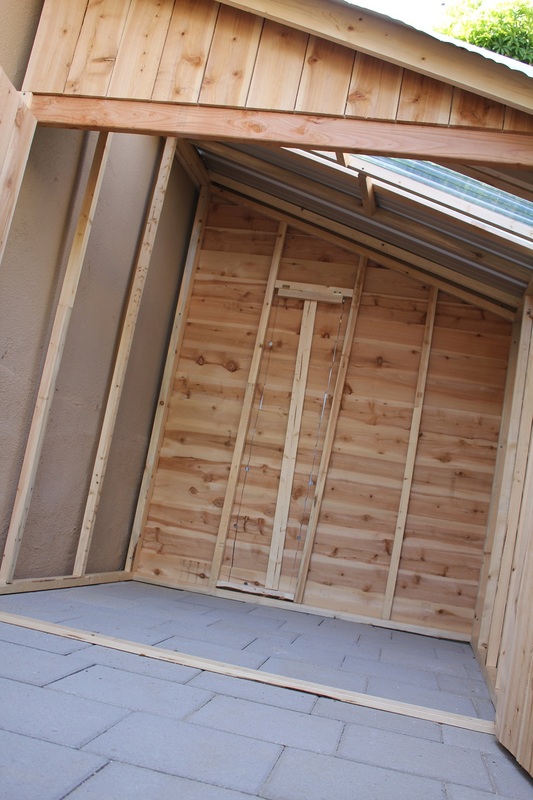 I made it as a 3 sided shed, using the wall as the 4th to save on cost, increase air flow, and make the exterior house wall accessible. 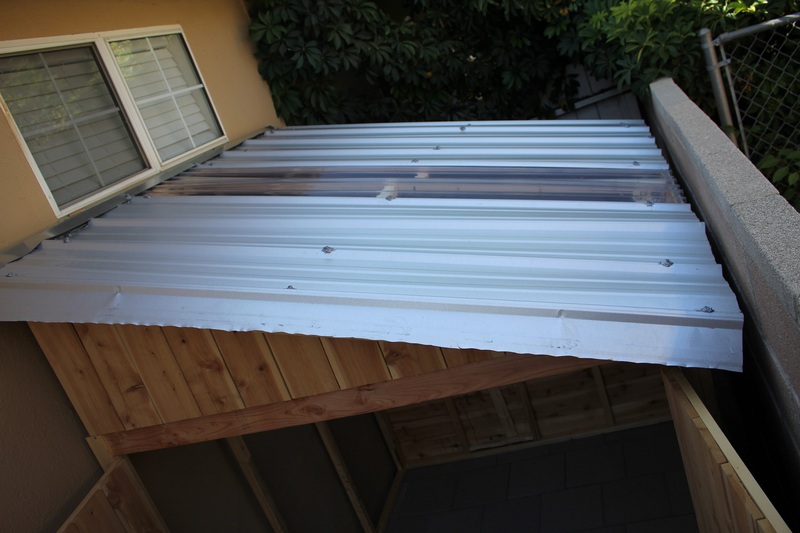 Instead of roofing shingles, I opted for ribbed metal sheets and one clear sheet in the middle to make a skylight, so there would be light in the shed. 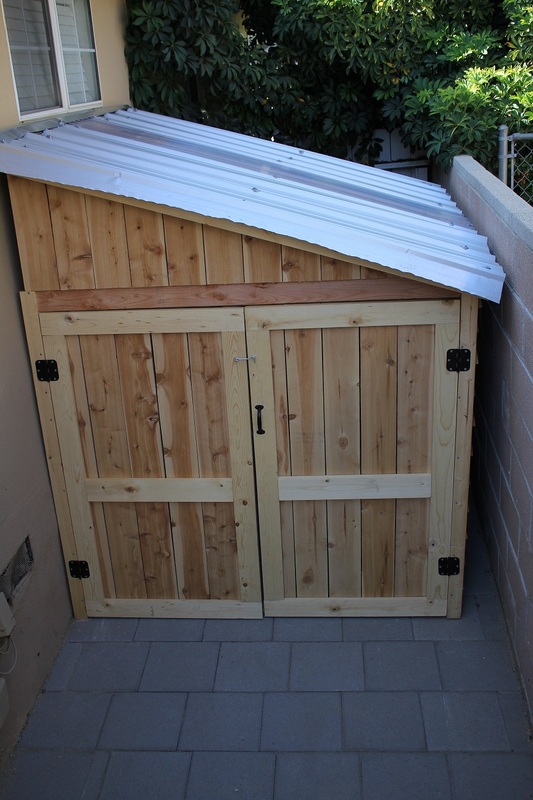 This is my favorite part of the project.